Intel Labs is opening up its deep pockets once again today, announcing a $100 million cash investment in U.S. university research over the next 5 years. 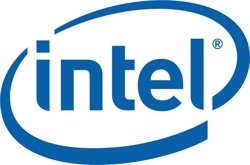 The company plans to develop and open several branded “Intel Science and Technology Centers” at a number of universities for sponsored research and innovation throughout 2011. The first Center will be built at Stanford University and will focus on creating innovations around cloud-computing, says Intel. Researchers at Stanford will collaborate with a community of researchers from seven other universities and Intel’s Core processor with combined visual and 3-D graphics will “be a key R&D platform” for researchers. Other focus areas of Intel Research Centers will include visual computing, mobility, security and embedded solutions. Intel Labs has previously run centers near research universities but this is the first collaborative effort for the company with university research facilities. Intel says that the new venture is expected to give researchers 5 times more funding compared to the previous approach.